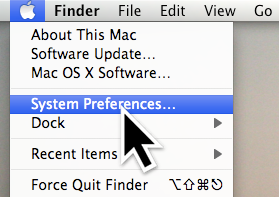 Click on System Preferences in the Apple menu. 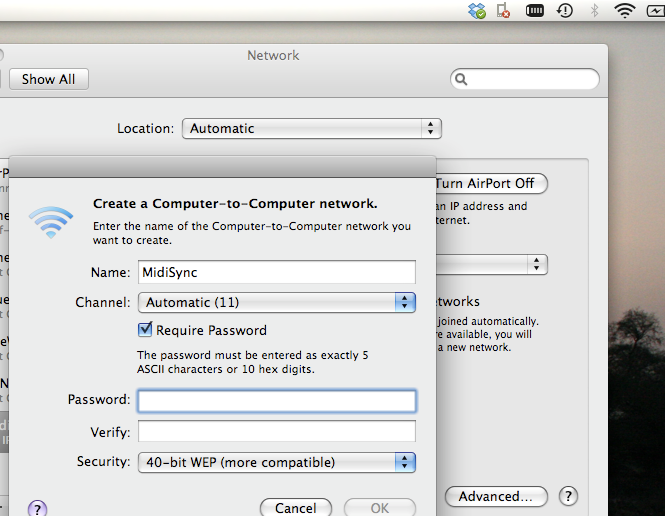 From the System Preference menu, choose “Network”. Click on the little + at the bottom of the list of services. 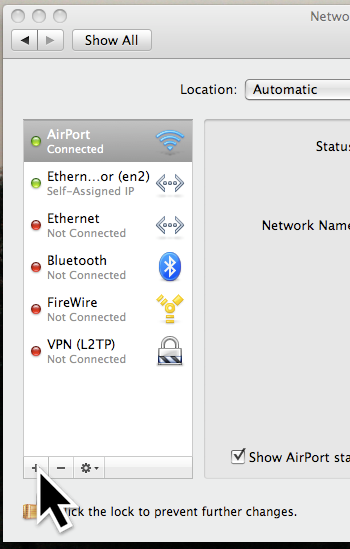 Create a new service, and name it something you’ll recognize. “Create a Computer-to-Computer Network”. Name it something recognizable. 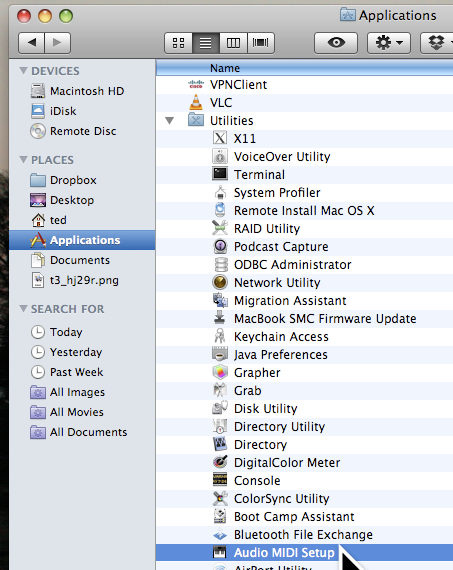 in Finder, open Applications > Utilities > Audio MIDI setup. 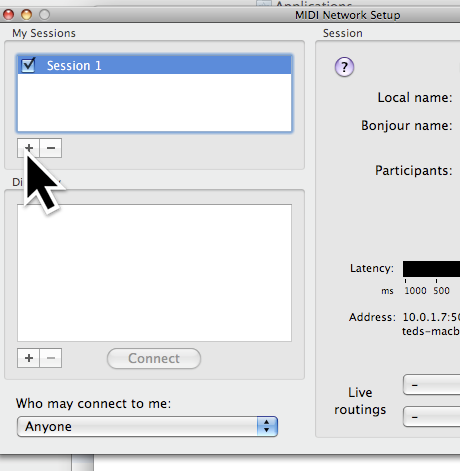 From the “MIDI Devices” menu, choose “Network”. Click on the + under the “My Sessions” window. You should see a session in the session window, probably called “Session 1”. Change the “Bonjour Name” field to something memorable. 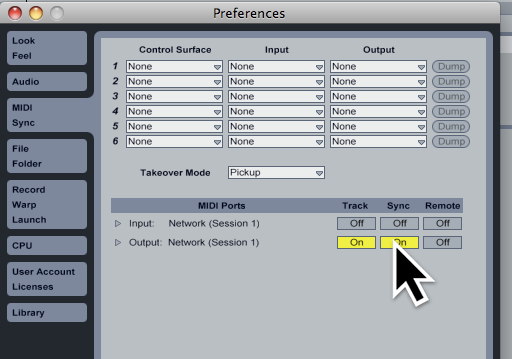 Open Ableton Live and Go to “MIDI Sync” in the Preferences menu. 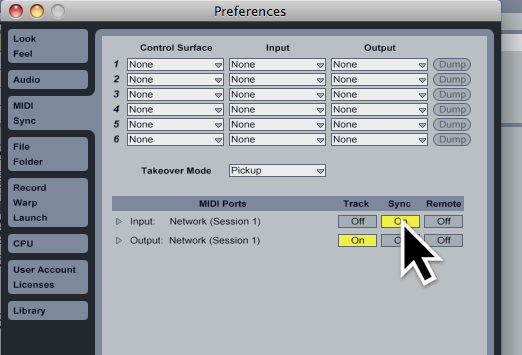 In the Midi Ports section, next to “Output” click “Sync” on so that it turns yellow. 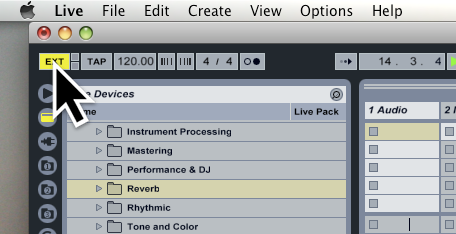 If you start Live, you should see a blinking orange square at top left that keeps time with the selected tempo. Join the network you just created on step 5 above. Choose the same Bonjour Name in the Directory section that you made in step 9 above. Click “Connect”. 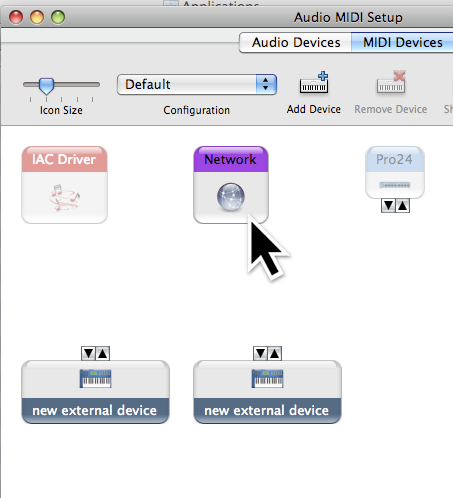 In the Midi Ports section, next to “Input” click “Sync” on so that it turns yellow. Click on the “EXT” at top left in Live. The master machine should now control the tempo on the slave machine.